In partnership with SetantaBet, TalkOfTheDevils.com brings you “Tonge’s Tips”, a look ahead to the Premier League games in the 2012/13 season with a bit of a twist. Just like last season, Alan, the 7Cantonas team and the good fellows over at GGMU and United Rant are going head to head in their predictions, and want you, our readers, to join in. Alan: Nothing whets the appetite quite like a Man Utd v Liverpool clash. In my humble opinion, this is still the number one fixture within the Premier League calendar. SAF has already stated that Mr Roo isn’t quite ready yet, so chances are RVP will be partnered by the little pea. Conceding goals has been a big issue this season and I think we’ll see the strongest back four available with Raf, Rio, Nemanja and Patrice looking to throw water over the potential fire of Liverpool’s forwards. We need to be passionate, intense, up for it, ready for battle and must definitely keep an eye on The Slippery Cheat. He is capable of anything, including causing a riot. Mart One of the first games I look for when the fixtures are released is Liverpool at home. Despite Manchester City being more of a rival when it comes to the league title, the Liverpool game is still the biggest game in the Premier League. We’re 21 points ahead of them, 7 league positions ahead. In recent weeks they’ve lost to Stoke and Aston Villa, all that goes out of the window on Sunday. It doesn’t matter that they’re struggling right now, they will be fired up for Sunday and we need to be either or it’ll end in disaster. Ferguson today confirmed that Rooney is definitely out, he said Nani and Anderson are back in training, say what you like about Nani but he’s a better option than Valencia is at the moment and I’d love him to start Sunday, one of only a small number of players that can change a game out of nothing in an instant. The crowd will be a big factor in this one, United atmosphere at home isn’t good as we all know but we’re pretty good for getting the atmosphere going for the big games, as I type I’m still trying to get a ticket but nothing doing…. In the other big game on Sunday, Manchester City travel to Arsenal in a bid to reduce the points gap, which by the time they kick off could be as much as 10 points. City haven’t won at Arsenal in 37 years and they will be desperate to get the win but I think it’ll be a draw. 1-1. (11/2 with Setanta Bet). Ed: After last season’s drama around this time of year, when Luis Suarez refused to shake Patrice Evra’s hand, and Kenny Dalglish lost the run of himself, this fixture was also going to feel relatively low key. Not that a United – Liverpool match is anything but pumped-up, but there is, after all, the rise and fall of tension between these two clubs. Indeed, such is the apparent lack of relative animosity ahead of Sunday’s clash that rival fans may even collude in action against high ticket prices. Who’d have thunk it just a year on from shake-gate? Perhaps, some might say, it is a measure of just how irrelevant Liverpool has become. Still, with the Scousers in something approaching decent form, and the Uruguayan now find the net where once row Z was frequented, Sir Alex Ferguson’s side is in for a genuine test at Old Trafford. Not least because of the difficulty the Scot is still having in coaching his team towards a clean sheet or few. 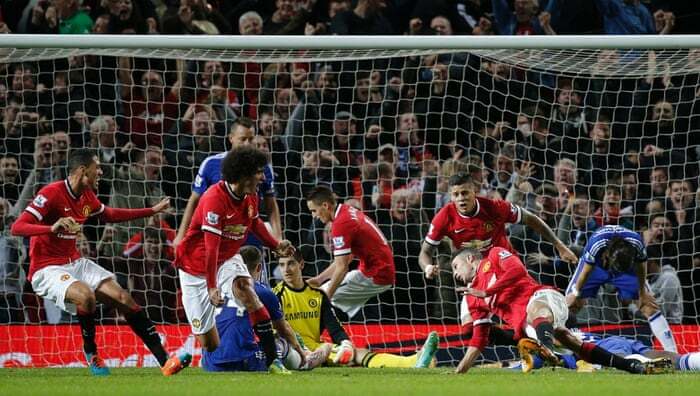 Last weekend’s FA Cup fixture is a case in point, with United conceding two hugely sloppy goals. There will of course be changes on Sunday, with, presumably, Robin van Persie restored to the starting line-up. But in Wayne Rooney’s probably absence, who will partner the Dutchman: Danny Welbeck, Javier Hernandez or Shinji Kagawa? That is one of several key tactical and personnel decisions yet to be made. By “The Slippery Cheat” I assume that you are meaning Evra, Vidic, Rooney, Scholes (terrible career ending tackle, I could go on at length). Let’s face it all footballers will cheat if it advantages their team. Face it, they’re all the same.